While we’ve all been celebrating the 25th anniversary of the Fall of the Berlin Wall, I’ve been reminiscing on all of my previous journeys to Germany. As you may know, this land holds a special place in my heart: its mine and my husbands’ family heritage, we now host an exchange student from here, and we even got engaged at the famed Neuschwanstein Castle. The food and culture of Germany have been etched into me. We travel back to Germany often, nearly yearly. Of course I always make a beeline for beer, pretzels, and bratwursts. But after dinner sweets are routinely a part of each meal. Sure, there’s chocolates, tortes, and truffles. 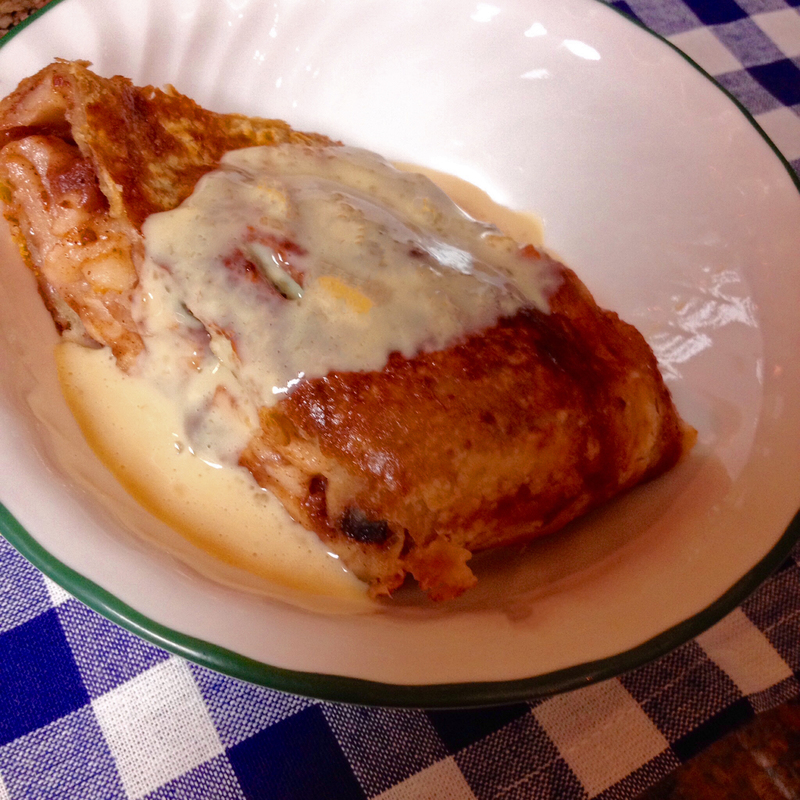 But for me, apple strudel with warm vanilla sauce, is nearly always the choice. I’ve had many strudels along the way. But, the one produced by my Bavarian mother-in-law remains my all-time favorite. 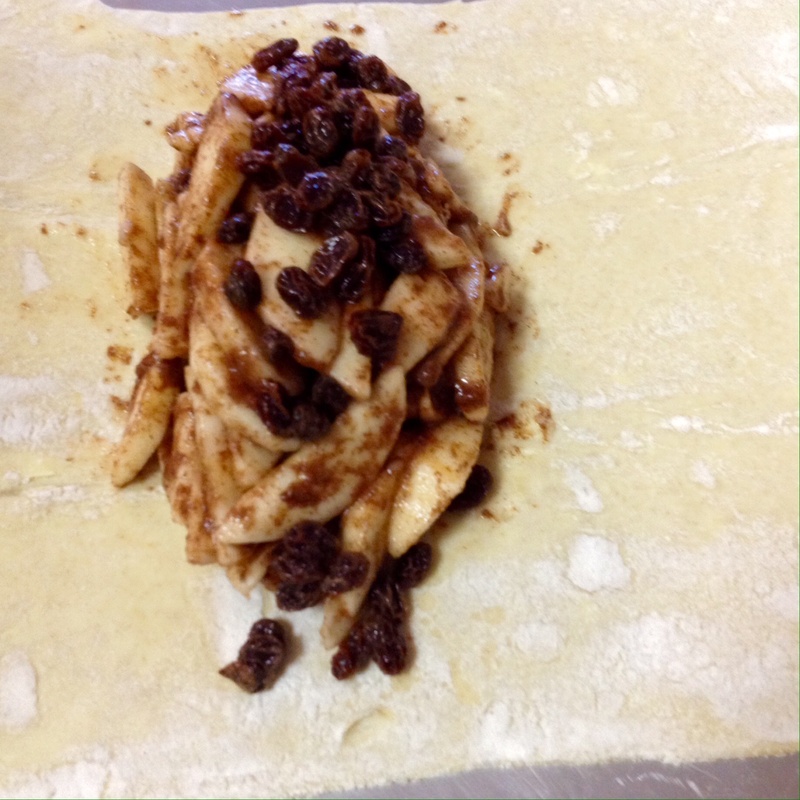 The kicker in Elisabeth’s strudel variant is the rum-soaked raisins riding on top of the apples. After some coaxing, and a few in-person lessons, I finally got the dish into a recipe-friendly written version. Rum is my mother-in-law’s semi-secret ingredient. I really think its because she wants to have a toke of it while she baking. Soak the Raisins for about 30 minutes in a small dish, where the Rum fully covers the Raisins. 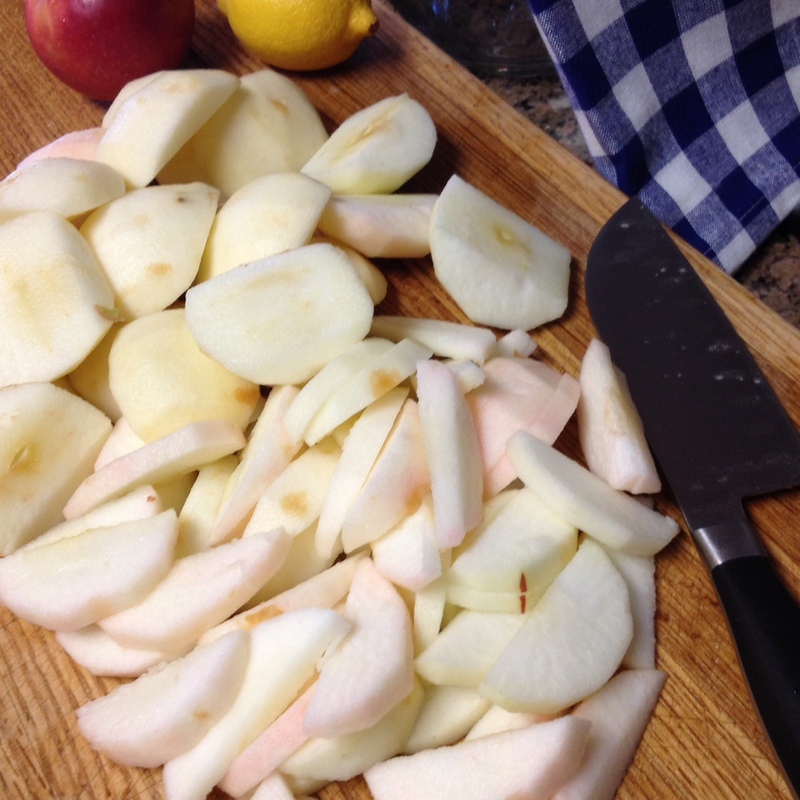 Peel, thinly slice all of the Apples, and place in a large mixing bowl. Juice half of a Lemon and gently fold it into the Apples. Place the Apples in the fridge while preparing the Pastry; this and the Lemon will help prevent browning the Apples. Preparing the dough. Puff Pastry can be an easy shortcut for pies, but it needs to be worked with quickly and kept relatively chilled. 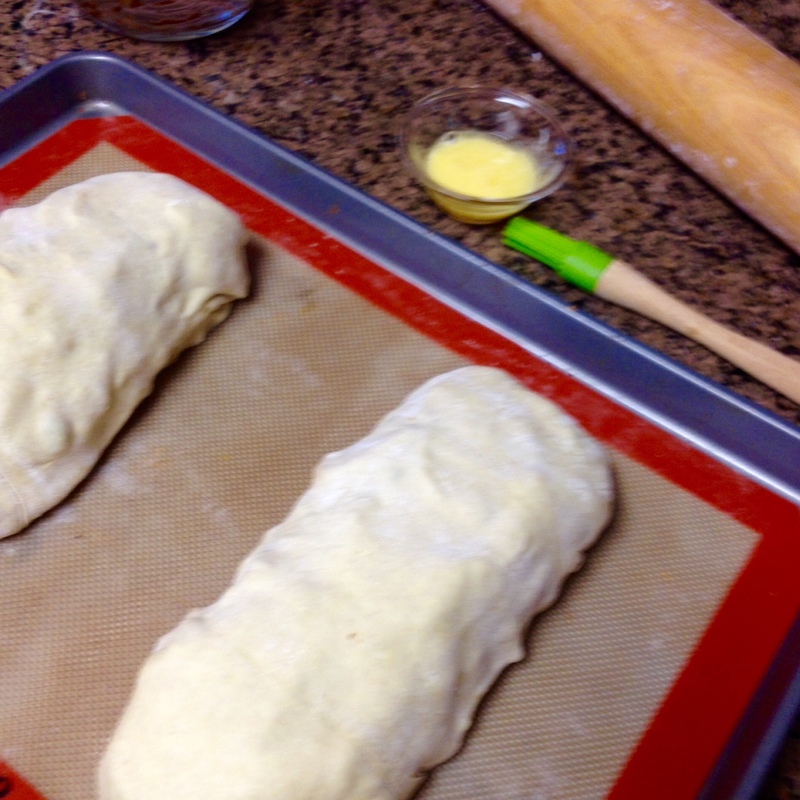 Place one piece on a Flour dusted surface. 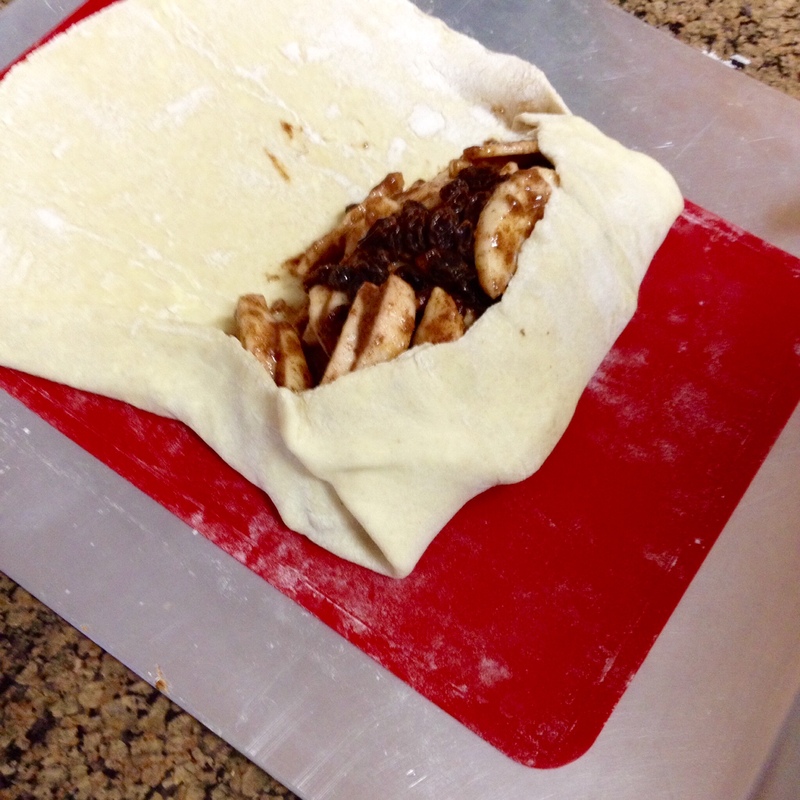 Gently roll out the Pastry until it is 2-3 inches longer than it is wide. Move the Pastry onto a baking sheet lined with a silicon mat (or parchment paper) and chill in the fridge for a few moments. Repeat with the other Pastry. On to the filling. Remove the Apples from the fridge. Gently fold in the Sugar, Cinnamon, Flour, and finely-cubed Butter. Separately, drain the Rum from the Raisins (Save that Rum for yourself, because Rum-Raisin is delicious!). Also, beat one Egg with a splash of Water, set aside. Remove the Pastry from the fridge. Spoon 1/2 of the Apply mixture and 1/2 of the Raisins onto the lower 1/3 width-wise of each Pastry. 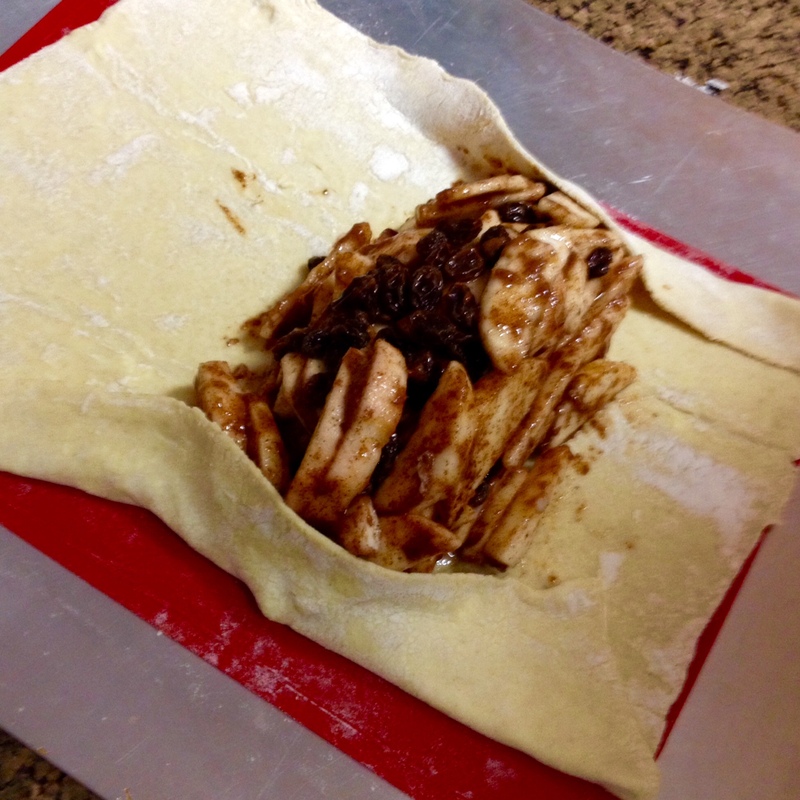 At this point, turning this into a neat, folded Pastry is the hardest part. Use the pastry brush to “glue” each of the seams through this process. Fold each long side inwards. Then turn the Pastry on the short shorter over the filling. 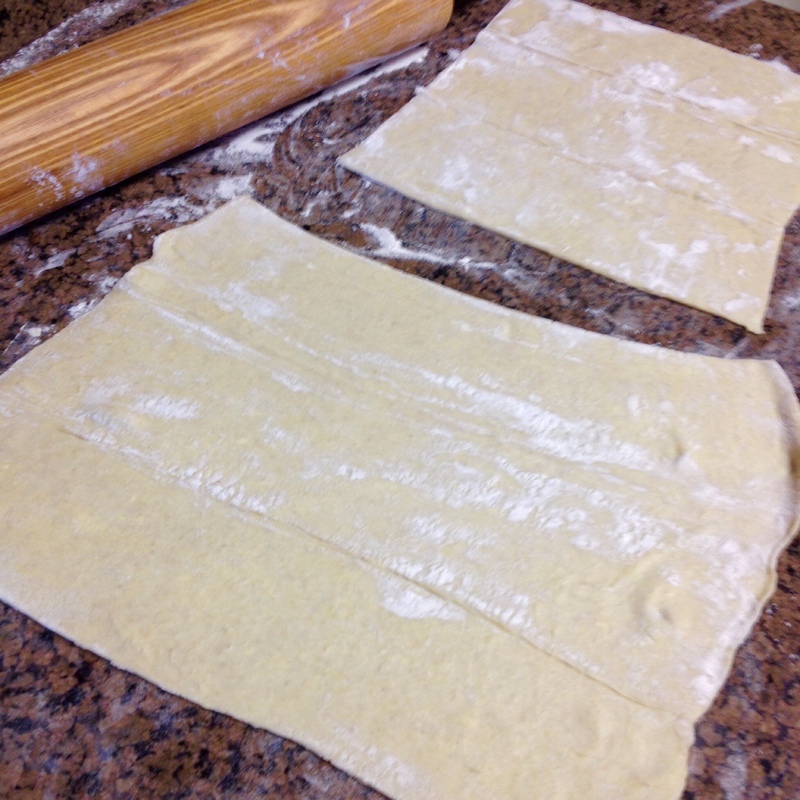 Finally, turn the last end over, rolling the seam under the whole Pastry. Repeat all of the with the other Puff Pastry, Apples, and Raisins. 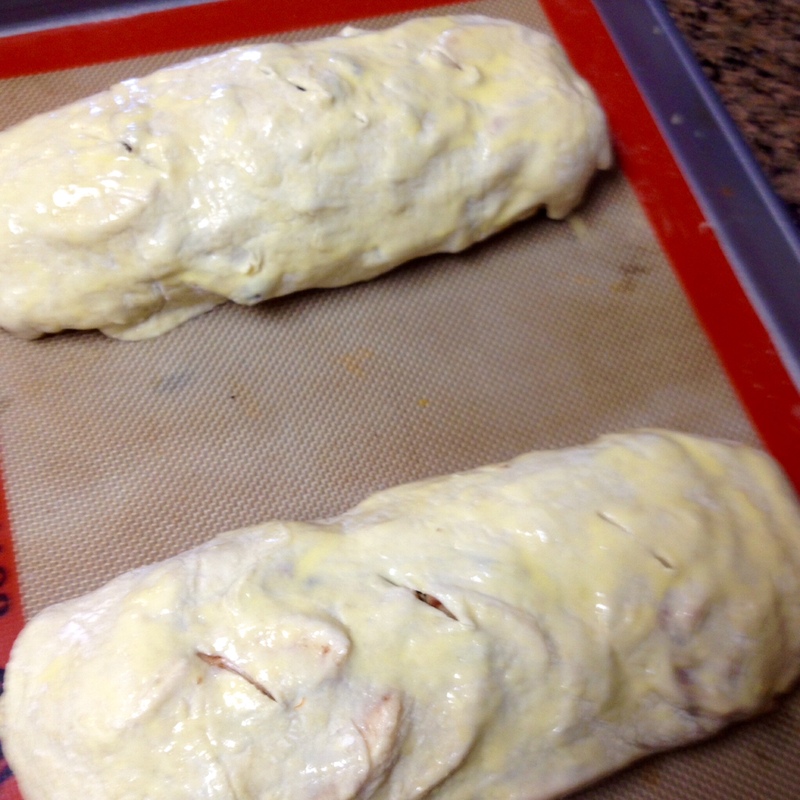 Brush the remaining Egg wash over the two filled Strudels, and cut a few vents in each to release steam while baking. Place the sheet pan into the pre-heated oven. Bake the Strudels until golden brown, and beginning to ooze juice. The most classic way to enjoy Apfelstrudel is a hot, thick slice with Vanilla Sauce. But, a nice scoop of Vanilla Ice Cream works just as well. 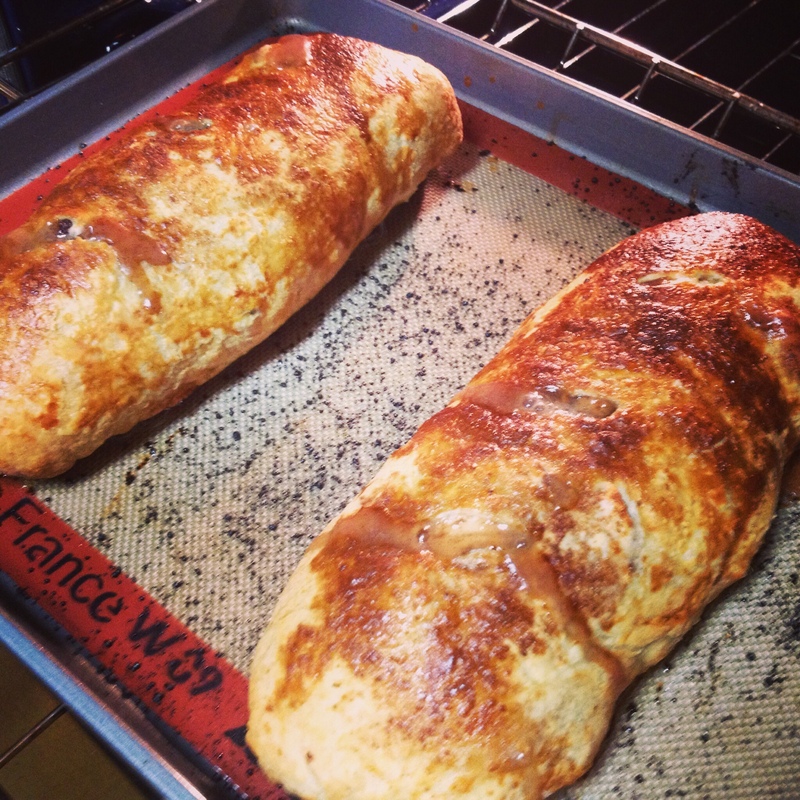 Either way, homemade ApfelStrudel will evoke fond memories of a past or potential German visits. 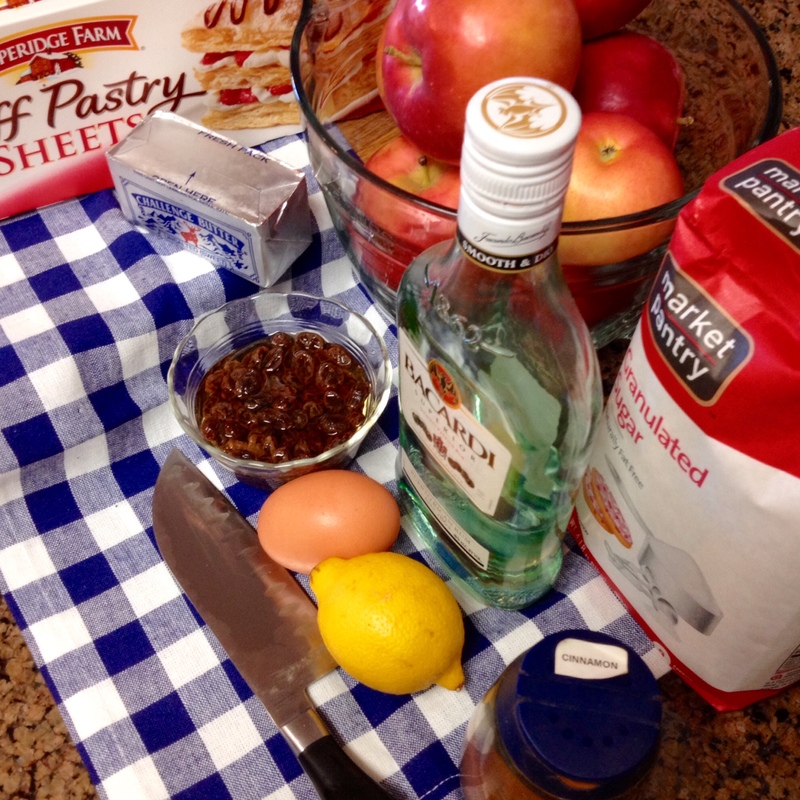 This entry was posted in Desserts, Fall/Autumn, German, Germany and tagged apfel, apples, comfort food, dessert, German, Oktoberfest, puff pastry, recipe, recipes, strudel. Bookmark the permalink.